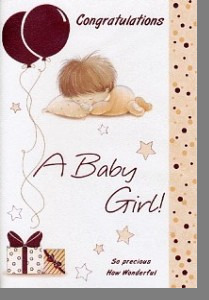 Congratulations, A Baby Girl! So precious How Wonderful. Message inside: A baby girl What joy , What delight. You must be over the moon. Congratulations.